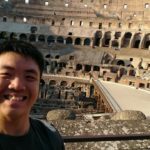 Over the Christmas long weekend, I had the opportunity to make a trip up to Kuala Lumpur. 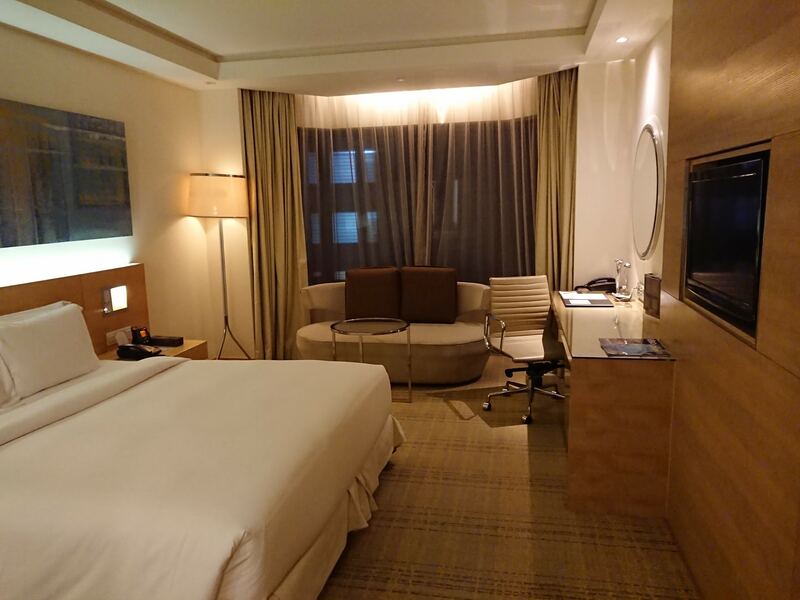 Having a stash of Hilton Honors points available and with no immediate travel plans, I decided to redeem a night at the DoubleTree by Hilton Kuala Lumpur. Paid rates were hovering around MYR323 (~S$108/US$79) for a King Guest Room, while a redemption would cost me 10,000 Points. Hilton Honors points are currently valued at US 0.4 cents/point. Hence, redeeming a King Guest Room here would net me a redemption value of US$40, which is lower than the paid rates. Making it a “not bad” redemption. 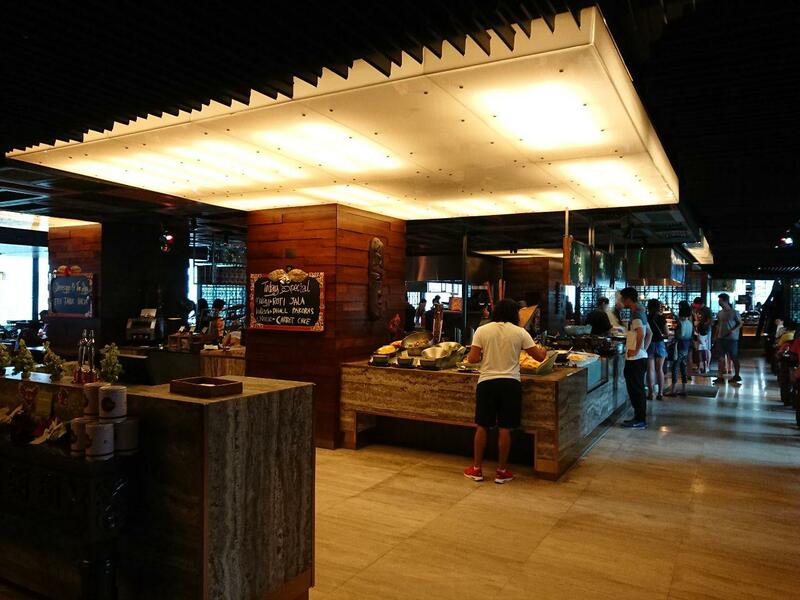 The property itself is located within a shopping centre, The Intermark in Jalan Ampang. 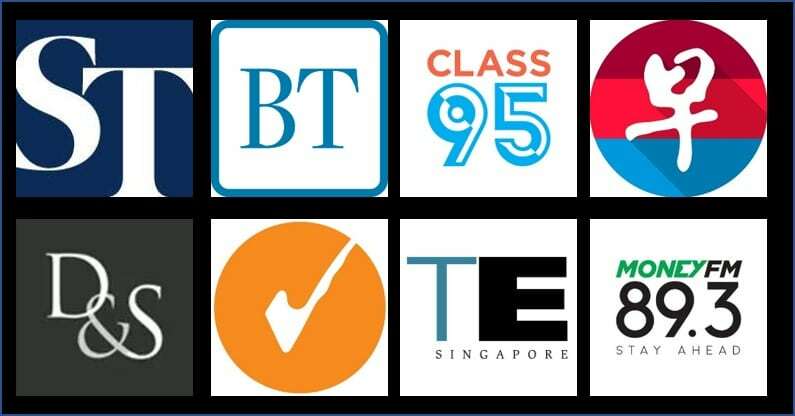 It is an upscale shopping centre in KL catering to the middle to upper income people. To get to the hotel, I took the LRT from KLCC station to Ampang Park station. The trip costs RM1.10 one way. After that, it is just a stroll to the hotel via a covered walkway from Ampark Park station, taking less than 5 minutes. Jalan Ampang is populated with the corporate offices of Citibank and JP Morgan, the latter occupied the offices above The Intermark. 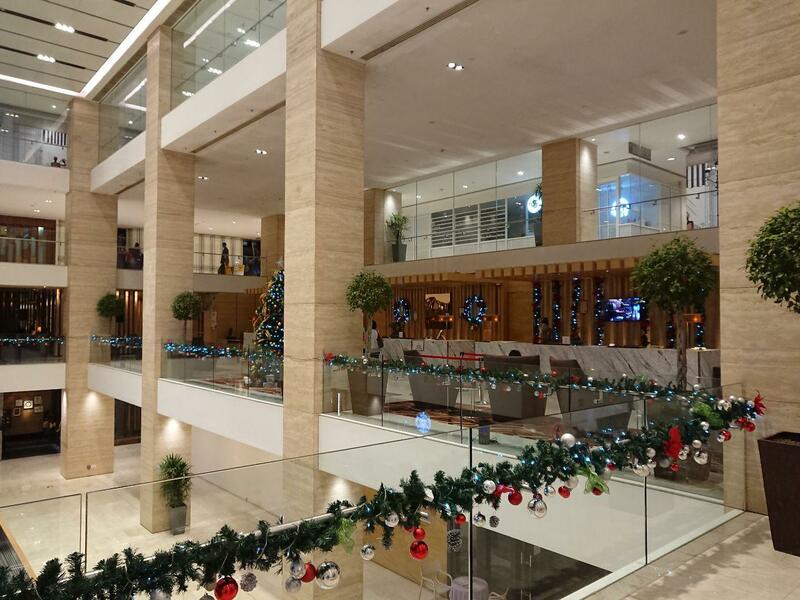 The hotel lobby was integrated within the shopping centre, with its check in area being rather small. 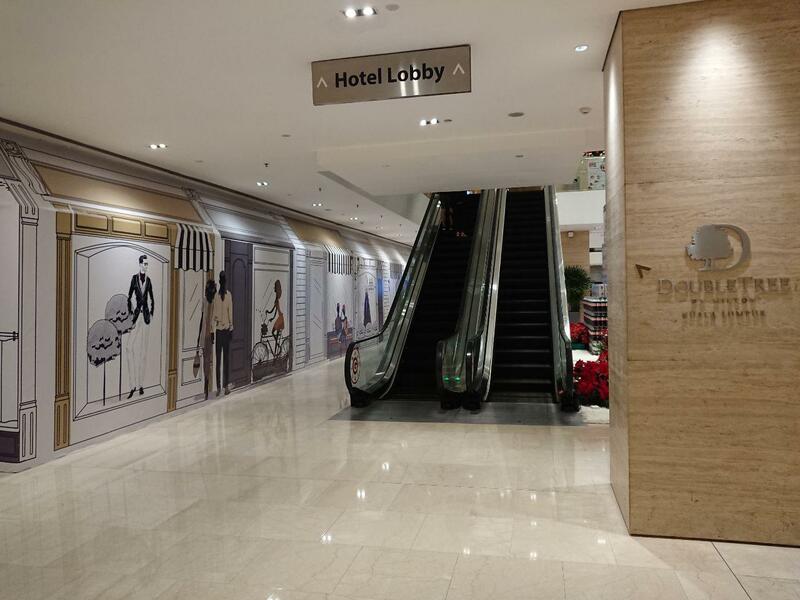 If you arrived by car, the hotel lobby is one level up from the drop off point. I was originally booked into the King Guest Room but as a Hilton Honors Gold member, I was upgraded one category to the King Deluxe Room. 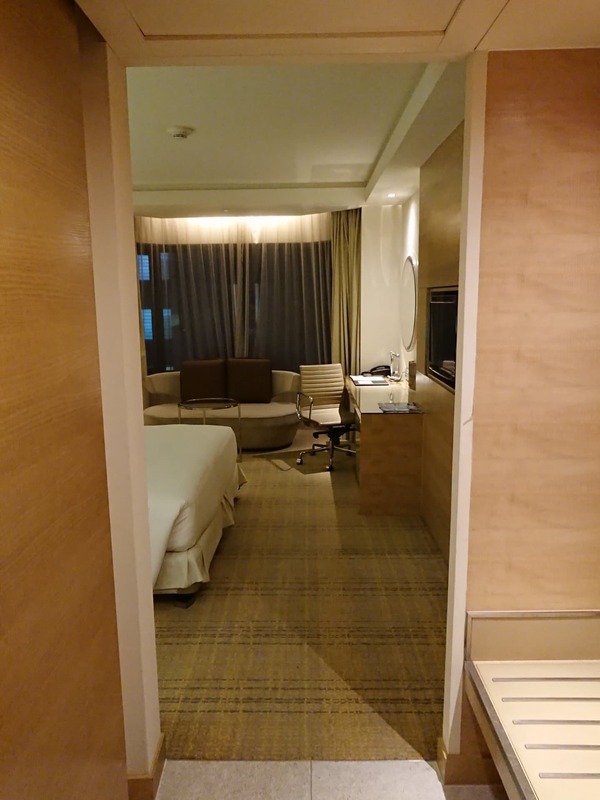 Strangely, when queried about a paid upgrade to an Executive Room, the check in staff informed me that no more rooms were available. Upon checking their hotel website however, I still found King Executive Rooms going on sale. Weird. 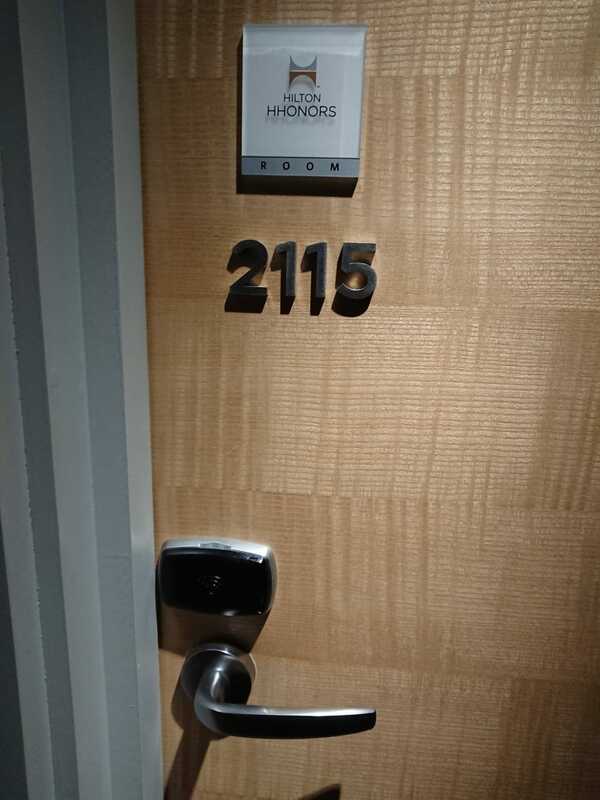 I was assigned a room on the 21st Floor, Room 2115. 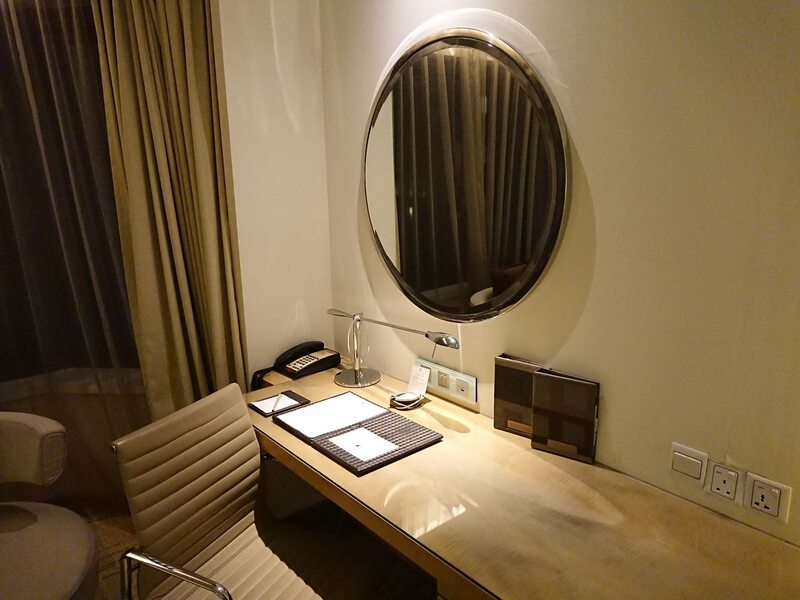 The room itself was rather large, having a proper work chair and desk as well as a daybed by the windows. I’ll let the photos speak for themselves. Peeling wallpapers in the room. Some maintenance works definitely needs to be carried out. At the bedside however, there was only one plug situated on the left side of the bed (facing the bed). No USB ports were available for charging our power hungry devices. 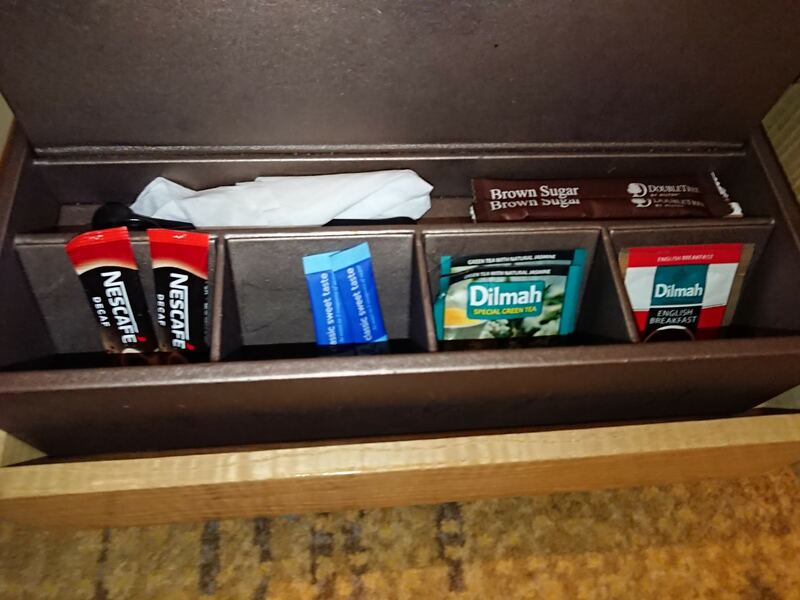 The minibar was located below the desk. 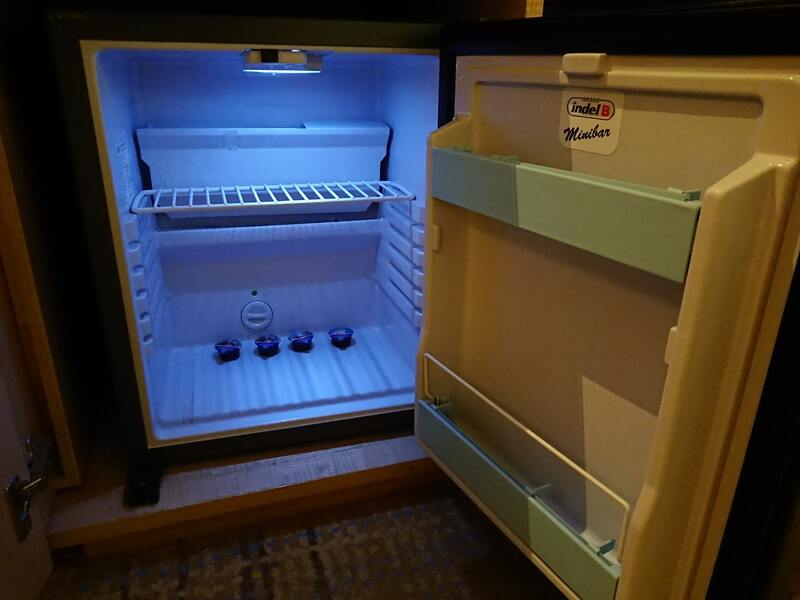 Thankfully the fridge wasn’t stocked with overpriced drinks and snacks. What took its place was 4 Coffee Creamers. 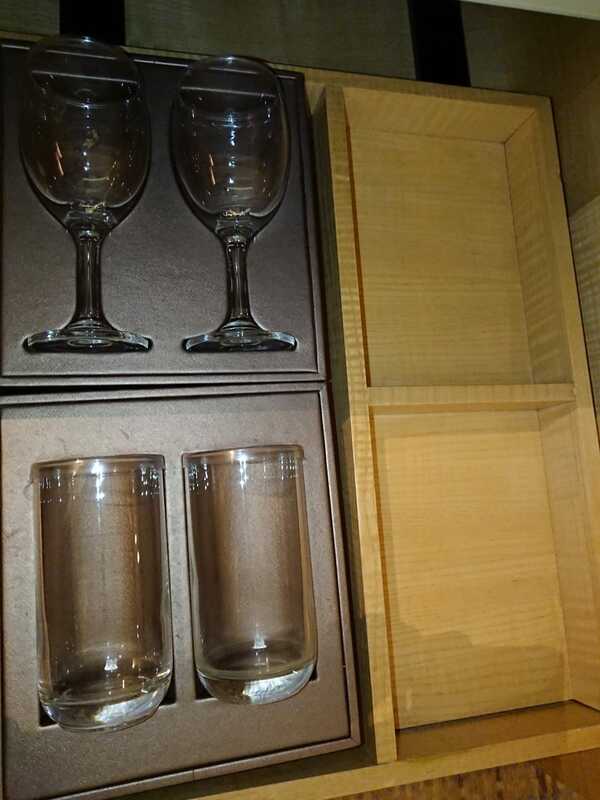 Wine glasses and drinking glasses were available as well. In case you wanted to indulge in some wine in your room after navigating your way through the insane traffic jams in KL. The usual coffee and tea amenities were also present. I’m surprised they have not moved to a Nespresso machine system like at their sister property at the Hilton Kuala Lumpur. This caused me to miss the epic draw which saw Arsenal draw with Liverpool in a 6 goal thriller (or rather defensive flop) which was airing on the Supersport 2/3 channel. 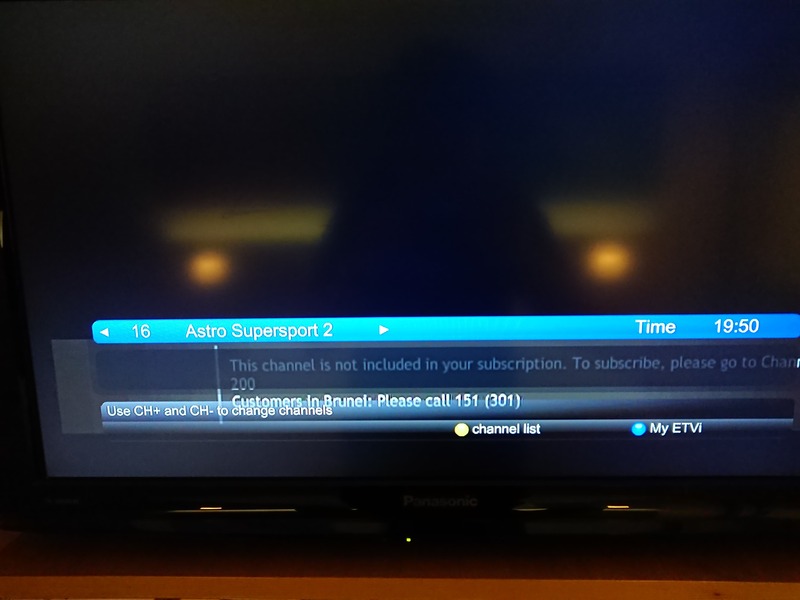 Obviously the management had cancelled these channels and did not update the TV Guide. For those of you who love in-room dining, I have taken 2 pictures of the local food that the hotel serves for in-room dining. Honestly, you shouldn’t be eating in the room as hey, you’re in KL. Food is aplenty. 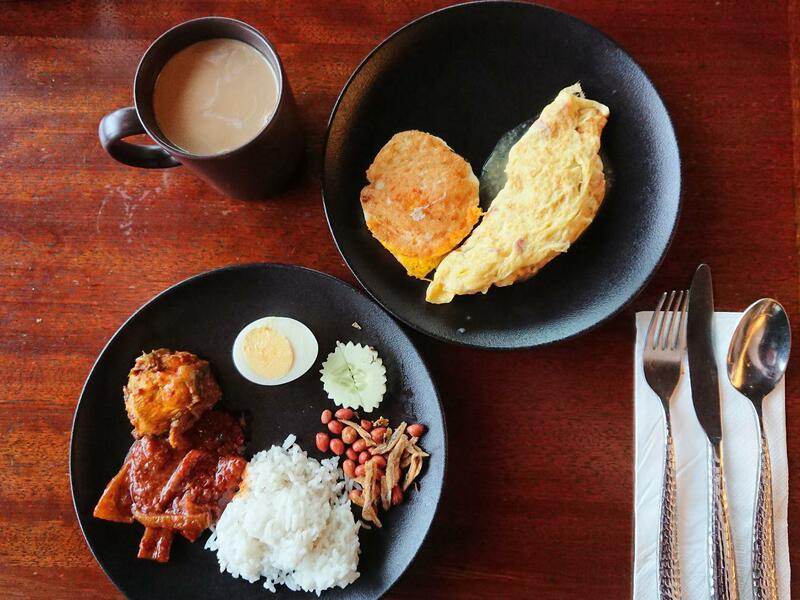 You could get these dishes almost at 1/4 of the cost seen here out in KL. 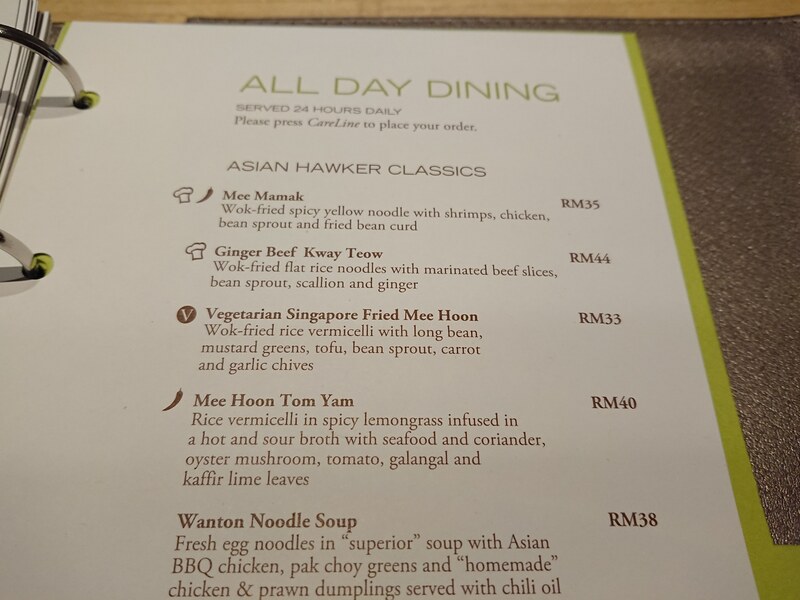 Still can never understand where the Malaysians obtained the idea that Singapore Bee Hoon has those ingredients. 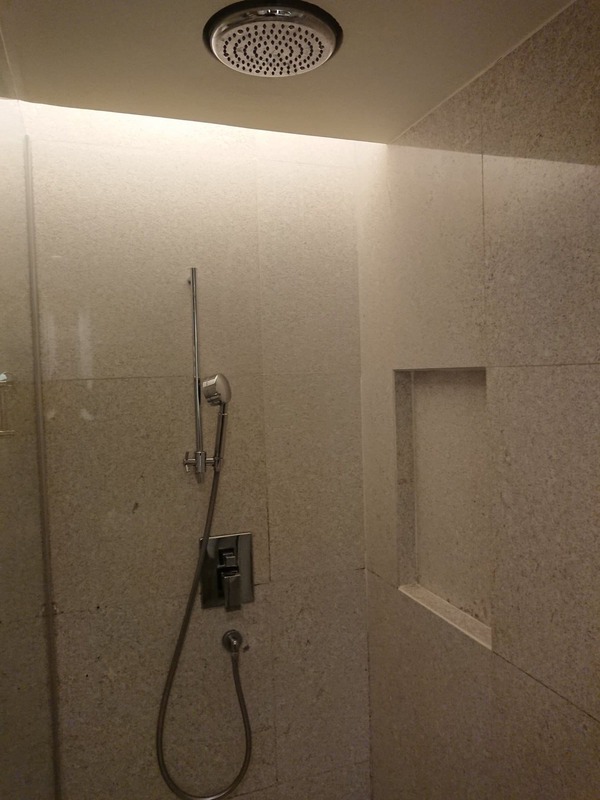 The bathroom contained a walk in shower equipped with a rain shower. Water pressure was good. No bath tubs were present (thankfully). Toiletries were Crabtree & Evelyn branded. 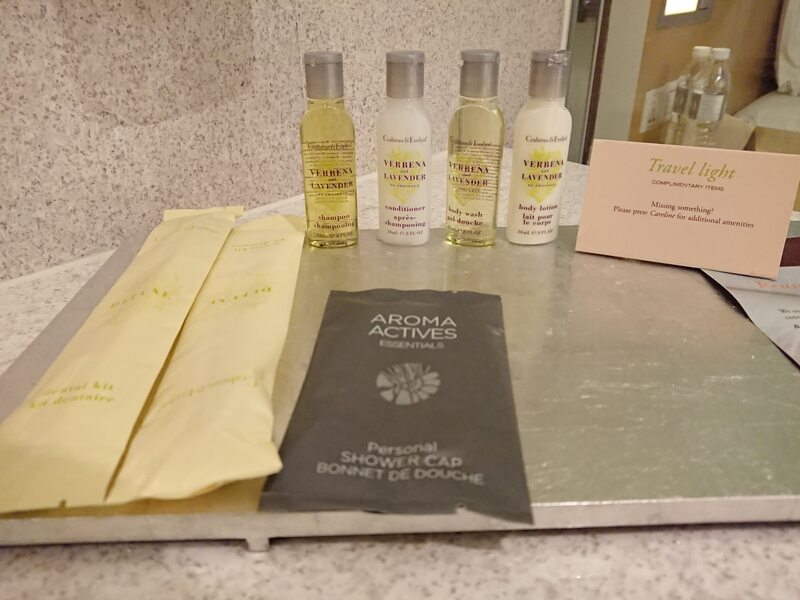 Previously, the DoubleTree chain were using the Crabtree & Evelyn Citron range and switched to Aroma Actives for a period of time. I still liked the Citron range by Crabtree but did not find the Aroma Actives range of toiletries nice. So it was nice to see Crabtree being the brand standard once again. Strangely, shower caps were still Aroma Actives branded (not that it is actually by Aroma Actives). 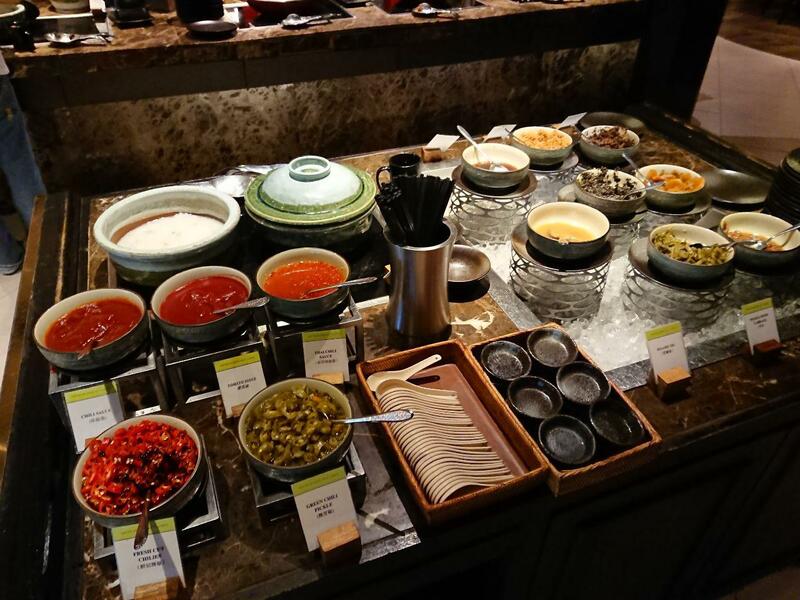 Breakfast was held at Makan Place, located on the 11th floor of the hotel. Initially when I arrived, my name could not be found on the list of people who were entitled to breakfast. Even though the previous night, the lady at check in confirmed that I would be entitled to Breakfast because of my Hilton Honors Gold status. Anyways, when I arrived, it was during the peak breakfast period. Unfortunately, I didn’t manage to get photos of everything. 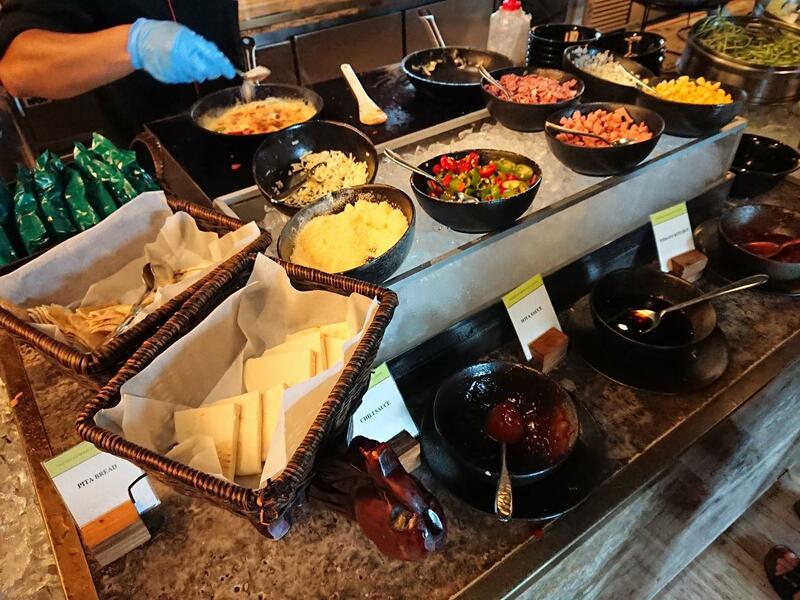 The spread was your usual asian hotel buffet spread, consisting of both local favourites (i.e Nasi Lemak) as well as Western food (i.e scrambled eggs, beans). Nasi Lemak was quite decent! The room itself was good. Bed was comfortable and the air conditioning was solid. Food at the restaurant was also of good quality. Location is also excellent. Service standards however, needed to be improved. Let me elaborate. Firstly during check in, there was no explanation of the benefits I would receive as a Gold member. Check in staff did not explain to me where breakfast would be held nor what time it would be from. Only after the whole check in process when I queried about it, then she reluctantly mentioned the breakfast details to me. During breakfast, I was directed to a table by a member of staff and then left to take my food. When I came back, I found a plate of Nasi Lemak on my table (I was dining alone) and was stumped to see another lady approaching my table. When I questioned the staff, he literally stood there dumbfounded and after 10 seconds of stoning, asked me to move to another table. This was rather absurd as I was seated there first on the empty table. 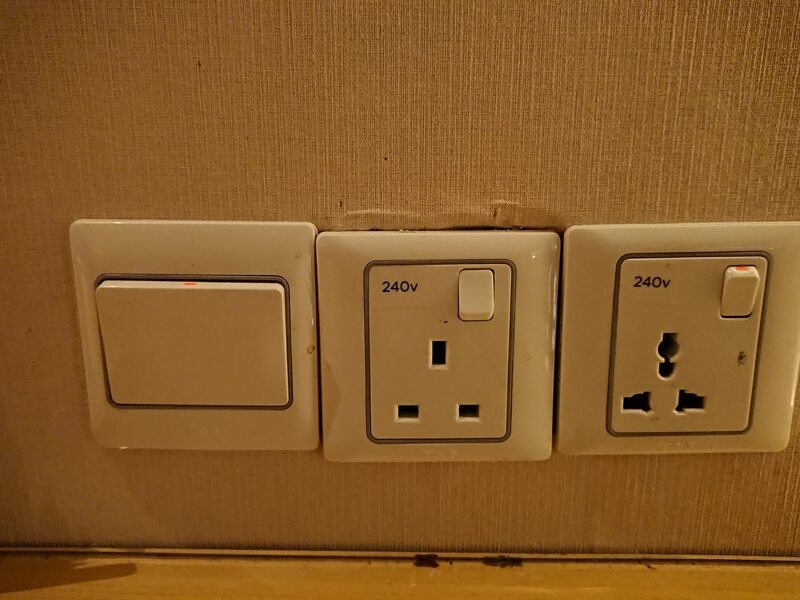 During the entire duration when I was there, the staff also committed this blunder a few more times to some other hotel guests. Plates were also hard to find in the restaurant and although there were espresso machines, only 2 were ‘publicly accessible’ as the third was hidden behind a counter. 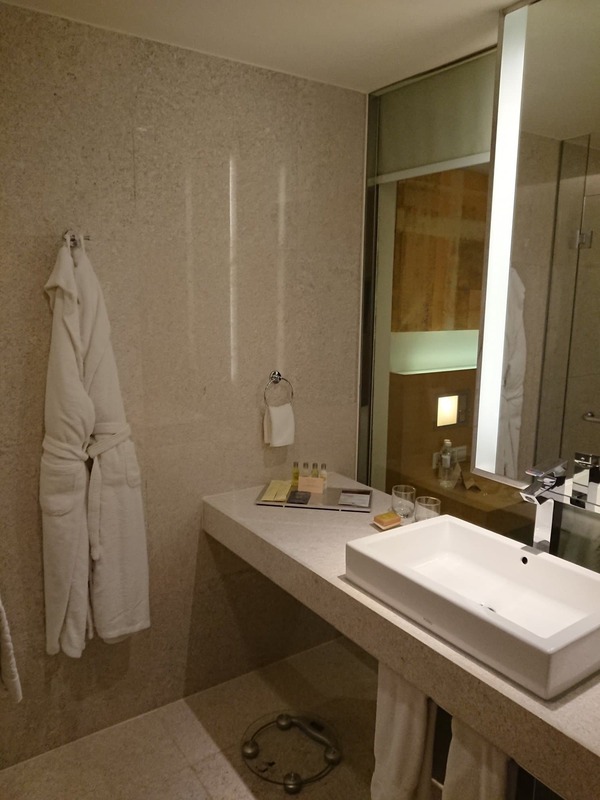 Personally, I would still return to stay at the DoubleTree By Hilton Kuala Lumpur given its excellent location as well as the low points redemption needed. 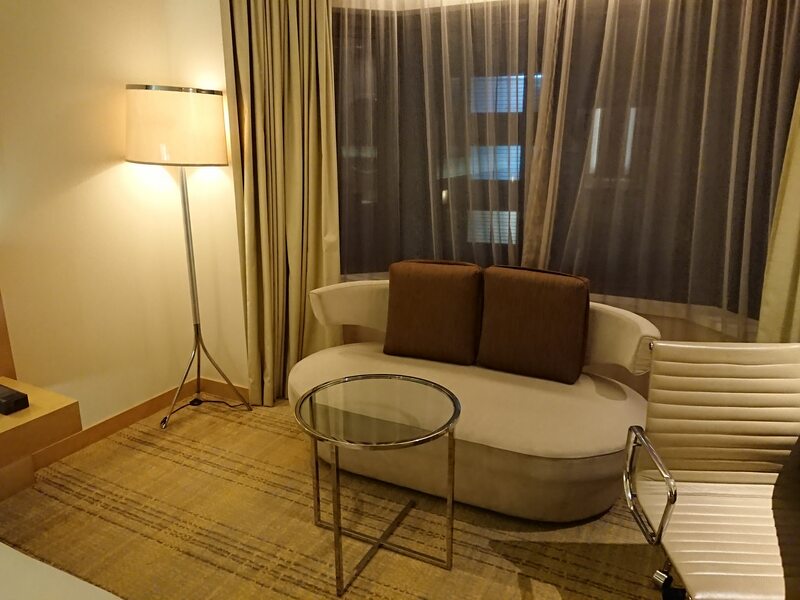 Being located near KLCC as well as Jalan Bukit Bintang makes this hotel a decent property to stay at if you want to avoid the chaos that is in Bukit Bintang (read : insane gridlock traffic jams). However, the service standards needs to be improved drastically. Didn’t you get a warm cookie at checkin? 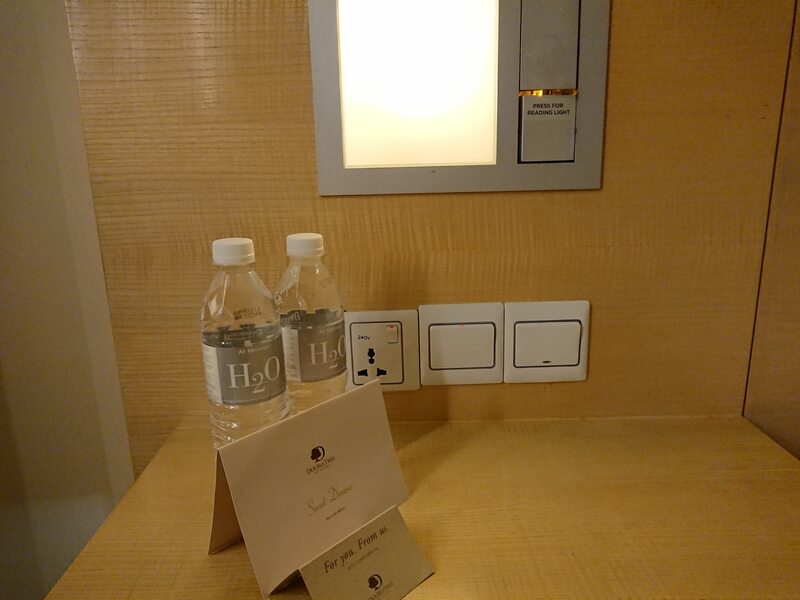 It is the trademark of Hilton Doubletree hotels. Apparently every hotel has a different recipe. Yep I did! It wasn’t that good though. Prefer the one I got frm DBT Heathrow! I agree! When I stayed here last month the cookie was inedible. Normally the cookies are delicious. Great review. 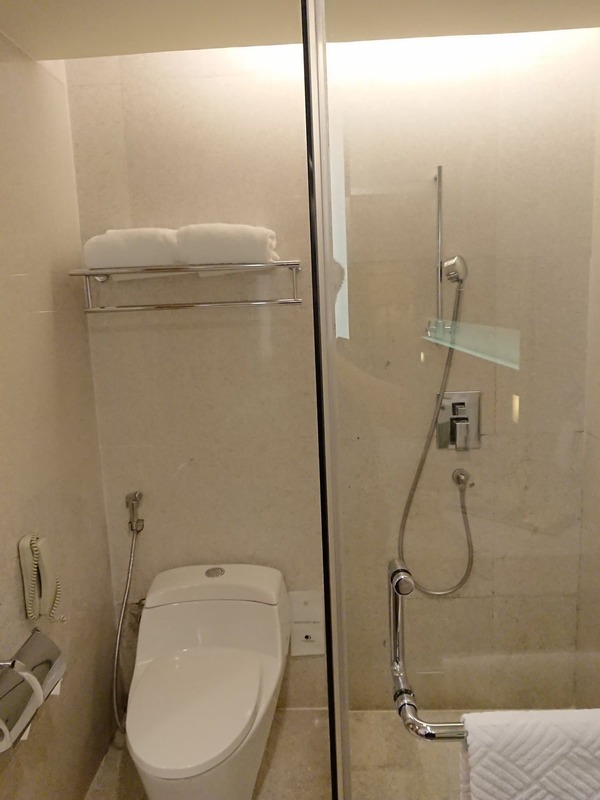 I found this hotel to be a solid option for my first stay in KL. Easily walkable to the city center. Was given a suite upgrade as a Diamond. The lounge has great views, cocktail hour and a much small modified breakfast available in the lounge with cook-to-order eggs prepared from a kitchen. Also agree they need to upgrade to much better coffee in the guest rooms. Matthew, thanks for the review! I’ve been to DTKL many times and I think besides the location and points redemption, there is really nothing worth staying there for. 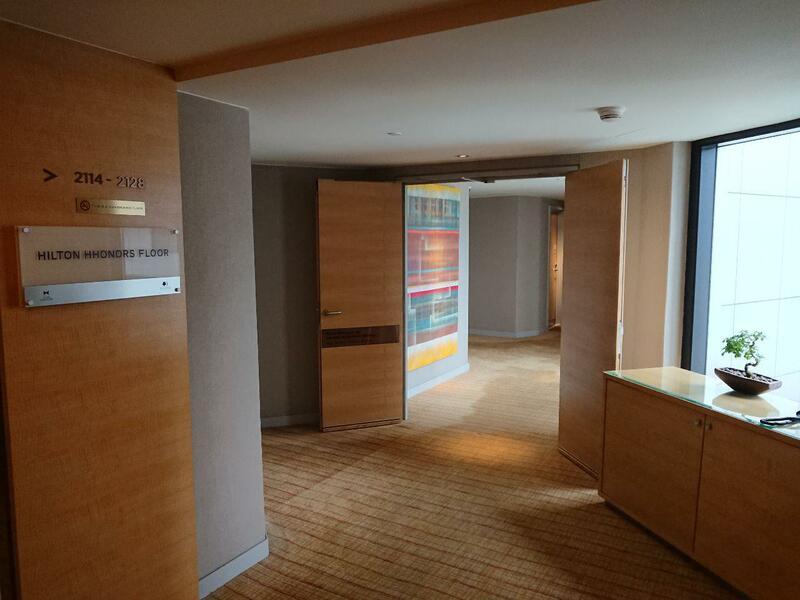 The rooms (imho), are very monotonous and the lounge offerings are horrendous. Breakfast at Makan Kitchen looks good but they only have decent Indian selections. The Chinese section is laughable. That’s my opinions anyway. 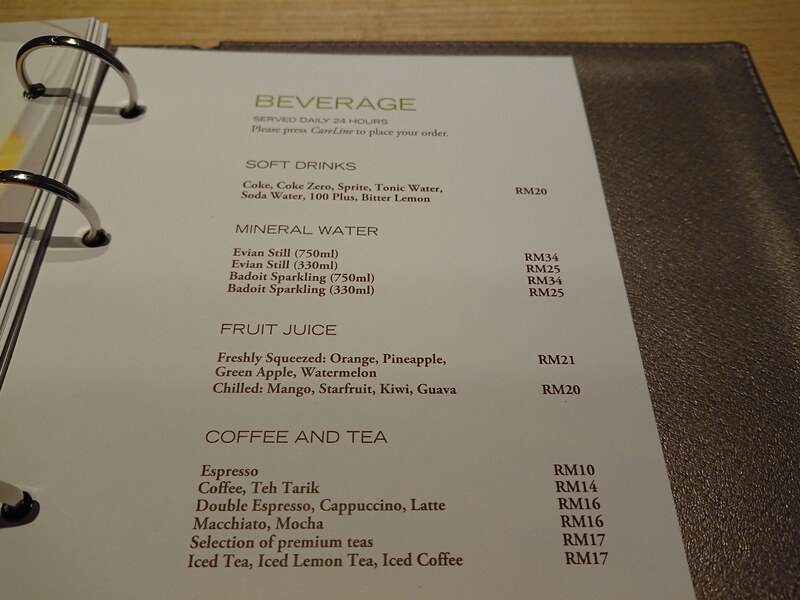 I would stay at Hilton KL anytime for their excellent lounge and facilities. Most of the time it isn’t that much more expensive than DTKL (in terms of cash, not points). Hey thanks! 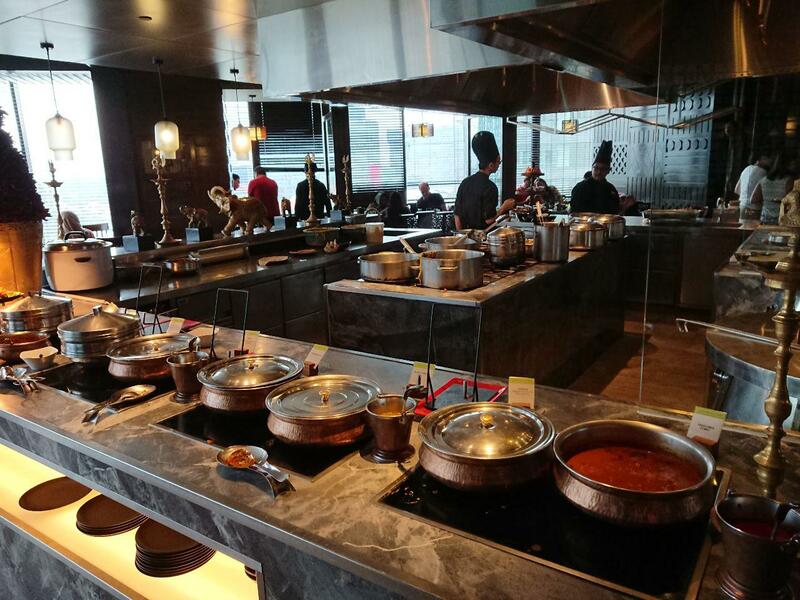 Yes I agree the Hilton KL offers rather good rates too and their lounge food is good! But when I was there last year, I got snubbed so bad by the Lounge staff. Left me a super bad impression of that property.